As 2014 has now rolled into 2015 we take this opportunity to thank so many of you for being such a core part of BABSEA CLE’s deepened expansion throughout 2014. This expansion helped to ensure that much greater access to justice was achieved through the teaching of justice/legal education and by helping to implant pro bono ethic. Each year, as we write this end of the year letter to so many of you, we are convinced we could never be more proud then we are at that moment. This is due to so much that we have achieved. Yet, as each year ends and the New Year begins, we look back and we realize that although we thought it not possible to be more proud than we were the year before, we in fact actually are. Once again, at the end of the year, we realize that what we once thought had clear limits is in fact very likely “limitless’. As 2014 has now ended, and 2015 has begun, we reflect back on last year and believe we could not be more happy. 2014 was the year that our organization was able to definitively show that the access to justice “pumpkin seeds” we have been helping to plant for more than ten years have turned into strong and committed “pumpkins”. This was the year that we were able to clearly show that these pumpkins are committed to ensuring that the poor, vulnerable and marginalized have a real and fair chance at achieving justice in society, and they are helping them to do so. For some who, have not had the chance to be a part of one of our BABSEA CLE trainings, conferences or other events, you may be asking yourselves, “what is all this talk about pumpkins and pumpkin seeds?”. For the rest of you (many being the seeds and pumpkins we refer to) we are confident you know what we mean. However, we hope the below succinctly and clearly explains this to those who may not. This is our “pumpkin seed/pumpkin” philosophy. Firstly, we ask ourselves how many seeds are in a pumpkin? The pumpkin often represents universities, bar associations, lawyer and judicial training schools and other institutions which have been entrusted with the important responsibility of educating and training those that are currently, or will be, working within or with the justice sector. This is followed by the idea that, like a pumpkin that produces seeds, these institutions all have the responsibility to produce better graduates. The goal is for these graduates to possess greater knowledge, skills and ethical/pro bono values. Once they have these things, they are much better placed to assist those in need who do not have the means to afford or obtain real access to justice. We then ask ourselves how many pumpkins can one seed produce? Studying these actions, which produce and reproduce pumpkins and pumpkin seeds, we then ask ourselves how many seeds will exist in the next patch of pumpkins? Then, once again, if we take ALL the seeds from the new pumpkins in the patch and plant them, how many new pumpkins will be produced? Soon we realize that the impact of seed and pumpkin production is amazingly exponential and the pumpkin patch is possibly limitless. Applying this philosophy to our BABSEA CLE work, and those of our partners, in 2014 we saw that the access to justice impact of these seeds and pumpkins may in fact be limitless. 2014 was the year the independent consulting firm FTI Consultants conducted an evaluative impact study of BABSEA CLE. 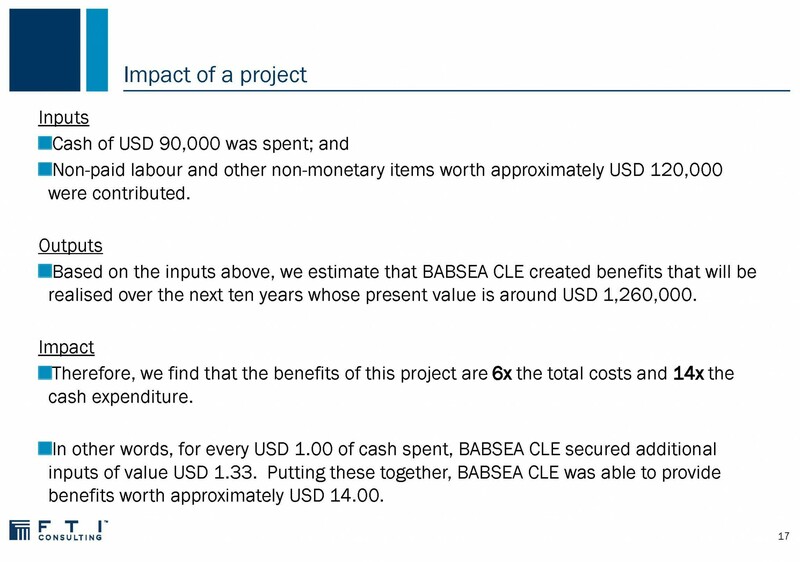 This study concluded that for every $1 (USD) invested in BABSEA CLE a minimum of $14 (USD) access to justice impact is achieved. Much of this impact comes from the pumpkins and seeds produced and the philosophy that produces them. FTI went on to say that this impact likely is far greater when you consider how BABSEA CLE, and its partners, apply these lessons learned and experience to their other projects and programmes throughout the region. The following End of the Year Quarterly Newsletter and 2014 Year Magazine contains many examples of the planting of new seeds, the growing of small pumpkins, and the harvesting of the large pumpkins which have gone on to spread new seeds, throughout the Asia region and beyond. All of these seeds and pumpkins have been nurtured with a pro bono ethos, ability and devotion to be a real part of ensuring better rule of law and access to justice throughout the region and globally. As you read through the below stories and events we hope that you are filled with some of the inspiring feelings and satisfaction that we felt and experienced. 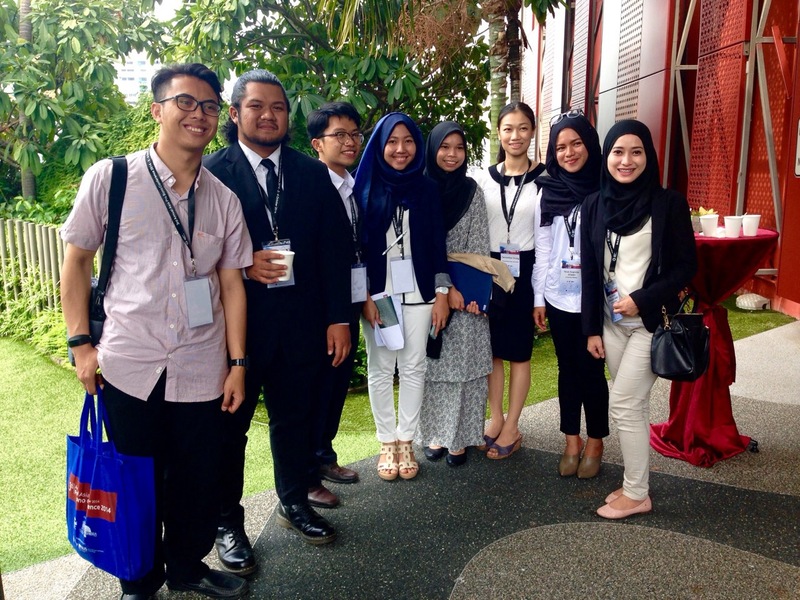 Our writing team was made up of all of us from BABSEA CLE, along with so many of our volunteers and partners. We all worked “across borders” as we were filled with inspirations which came from being a part of making these things happen. As 2014 came to a close we reflected on what we did and then all worked together to write up these accounts for you to read. Thank you again for helping us to plant, nurture and spread the seeds and pumpkins of justice in 2014. We joyously welcome 2015 and all the new seeds and pumpkins we know it will bring. We could never do this without you. 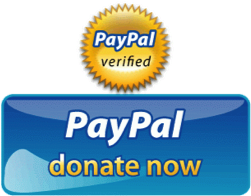 You know, it is very gratifying to feed a hungry child, but what if you could pay a similar amount for the legal representation of a family provider, in many cases a single mother with several children to feed, who was unfairly incarcerated because she could not afford to defend herself? 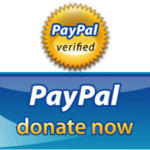 What if someone were to say to you that, for every $1 USD you invest in a not-for-profit that would help develop systems and persons that provide this and other beneficial outcomes, you will also produce $14 USD of equitable impact would you do it? What if they further explained that this $1 USD that produces $14 USD of equitable impact will help ensure access to justice for other worthy clients would, as well as strengthening the legal education of law students, throughout the region, who will one day go on to become judges and elected officials, would you do it? 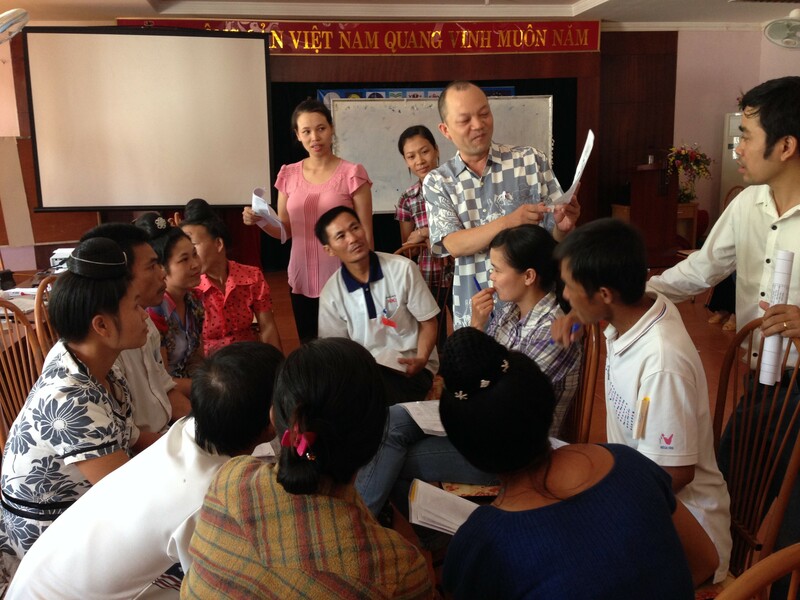 The 2013-2014 European Instrument for Democracy and Human Rights (EIDHR) project, “Empowering people living with HIV and populations at higher risk of HIV infection in Vietnam.”, was granted by the European Union (EU), to the United Nations (UNAIDS), and implemented by Bridges Across Borders Community Legal Education Foundation (formerly CLE Foundation), the Viet Nam Network of People living with HIV (VNP+); and a number of BABSEA CLE law faculty partners including Trade Union University (TUU); Vietnam National University (VNU); Can Tho University (CTU); University of Economic and Law (UEL); and Ho Chi Minh city University of Law (HCMLU). Read more! On July 22 and 23, 2013, BABSEA CLE, BABSEA CLE Australia, BABSEACLE Singapore Ltd., BABSEA CLE Foundation, in conjunction with DLA Piper/New Perimeter, Herbert Smith Freehills (HSF), and the Australian Government Solicitor (AGS), embarked upon an exciting project to develop a specific type of clinical legal education (CLE) curriculum for university students both in the Asia region and potentially globally. The focus was on pro bono, ethics, professional responsibility and access to justice, and provided a practical framework for universities and teaching staff to deliver interactive and experience-based teaching to students. 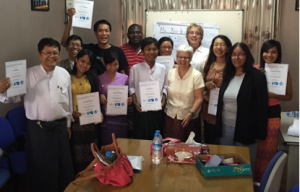 BABSEA CLE is part of a consortium that has won a tender from UNDP to develop and deliver training as part of a Rule of Law Pilot Project in Myanmar. The project was initiated by the Parliamentary Rule of Law and Tranquility Committee, and runs from October 2014 to February 2015. The project is also supported by the governments of Australia, UK, Japan and USA. Read more! 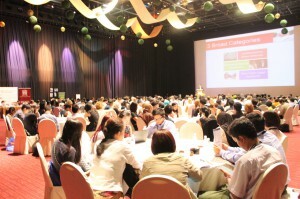 CLE Evaluation Meeting in Vietnam: Looking Back to Move Forward. 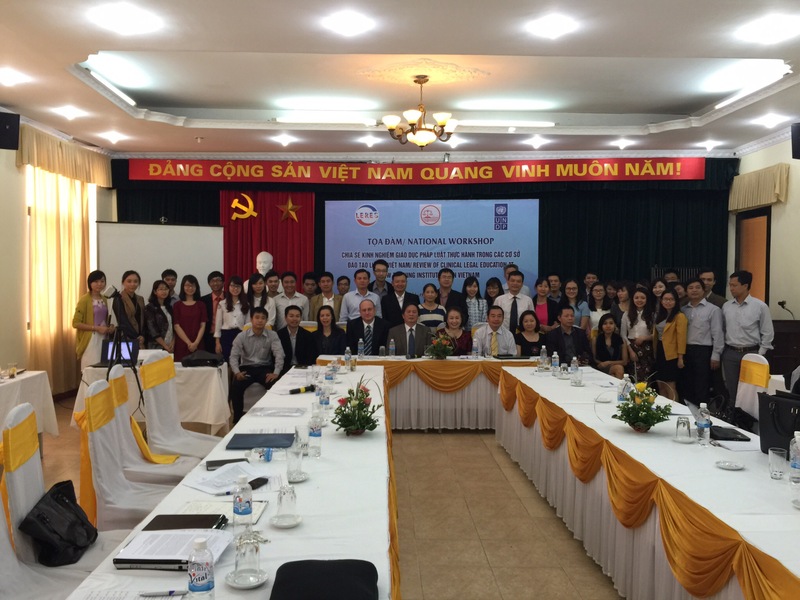 2014 marks the 5th anniversary of UNDP supported clinical legal education (CLE) in Vietnam. Since the 2009 report on building legal education in Vietnam, by Mark Sidel and Nghia Pham, the tireless efforts of local law schools, BABSEA CLE, UNDP and other stakeholders and donors, have greatly advanced CLE in Vietnam. Read more! On the 26th-28th November, 2014, Clinical Legal Education, Faculty of Law and Political Science (FLP CLE) and Bridges Across etc. 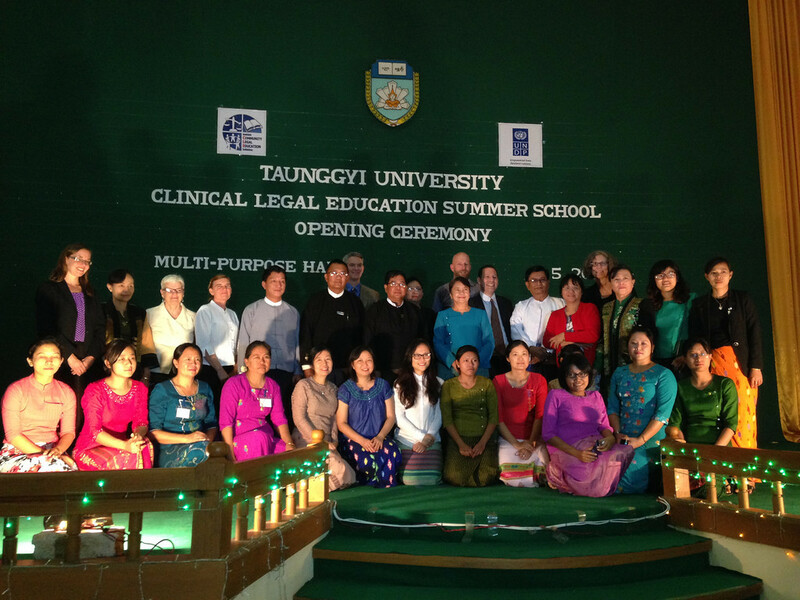 (BABSEA CLE) organized a 3-day workshop at the (FLP) Campus in Vientiane, Laos. Read more! Preparing for the MyanmarNational Myanmar Mock Trial EventMock Trial trainings, one of the four common CLE models BABSEA CLE has introduced to Myanmar universities over the last two years was first introduced during the 1stNational CLE Summer School, held at Taunggyi University, in May 2014. 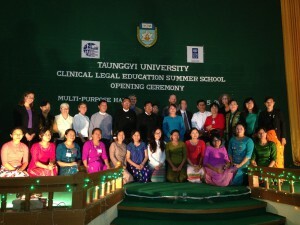 The Remarkable Pace of CLE In Myanmar The first National activity for this year was the CLE Summer School, in May 2014, at Taungyi University. 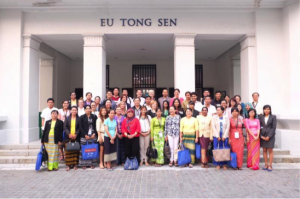 50 Myanmar nationals representing all 18 Law Departments attended the training which focused strongly on all participants gaining a stronger understanding of the goals of CLE and the various models of CLE programmes that can be incorporated into the law curriculum. Read more! Learning Justice is an Undone Exercise (Clinical Legal Education Pasundan University Faculty of Law Bandung, Indonesia)Before attending this conference, as a law student from a developing country, I noticed that Indonesia has many legal problems with women and children. One day, I intend to take what I learned here, and apply it to practicing law for the benefit of society.Read more! Read more! 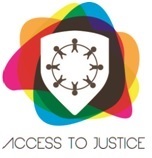 Come to the Access to Justice Weekend!Bridges Across Borders Southeast Asia Community Legal Education Initiative (BABSEA CLE) cordially invites you to our 1st Access to Justice Weekend, January 8-11, 2015 which include the Legal Ethics/Pro Bono/Access to Justice/Professional Responsibility workshop, the Research Monitoring & Evaluation workshop, the 4th Access to Justice Public Interest Fair, the 6th Trio For Justice run/walk, the Access to Justice Dinner Celebration and the legal-themed Movie Night Under the Stars. 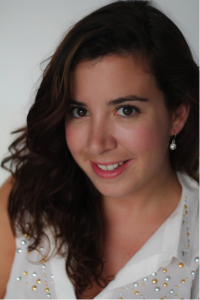 BABSEA CLE is pleased to introduce its newest member of staff. Read more! 2014 BABSEA CLE List of donors, supporters, volunteers, staffs and interns. We warmly thank all who have been such a core part of BABSEA CLE achieving the success it has during 2014. Currenly this extensive list is being updated and we will proudly have it available in early 2015.